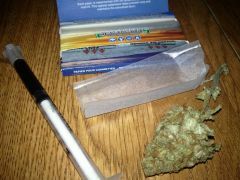 De-carb before extraction or after for Vaping purposes. Thanks for the strain recommendations, I will have to look into them. 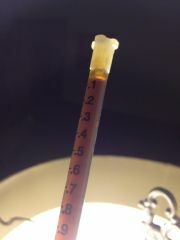 Been interested in running a few high CBD strains to extract and blend with my high THC oils and start documenting results. Can't wait for the legal testing facilities to start operating. Then I can have it all scientifically tested, and start recording and tailor it all accordingly. I have a patient that does not care for the high THC oil, no matter how small the dose. I think she would greatly benefit from a high CBD oil for sure. 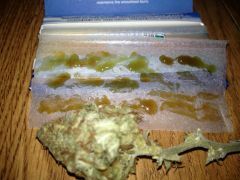 She loves potent buds, can smoke anyone under the table, but just can't do the oil. Thanks again, appreciate your input. There are strains that are high CBD low THC. The Attitude Seed Company has many available. The method you have mentioned can naturally decarb over time, and no longer be non-psychoactive. It would be best to invest into a high CBD strain. THC strains are low in CBD. Spoken like a true politician Resto, anything to make yourself look better. I did not suggest to make the oil in a group, I suggested to compare finished product, which we are allowed to posses and give away for that matter. Get a grip dude, and get over yourself. Sorry again GrassMonkey. If you would like more information, contact me privately. Enough now, you are making yourself look ridiculous. Nowhere have I suggested to do anything illegal. After December 6, 2018, with no money exchanged and all are 21 or over, it will be legal to share cannabis in Michigan, in a private location, period. I didn't realize that sharing test results was a crime, you know, publicly sharing the results, here on the forums. Get a grip dude. Similarly, I do not know you except for the fact that when I offer my opinion, when someone asks, you are the first to stomp all over it. The OP simply asked for other's opinions. Why could you not just let me offer mine? Apparently we are not allowed to have an opinion unless it is Restorium approved. Very sad, very sad indeed. I really hope others can see through all of these antics of yours. Don't be accusing anyone on these forums of being a cop unless you have a good foot to stand on. That is about the lowest of low. Accusations like that, with no footing, should be done in private, not on the public forums, that is twisted and evil. I am suggesting to get together and compare for everyone. I have nothing to hide. As for failures? WHAT? explain in more detail please? Cataloging my experiences is learning from my mistakes, not a cry for help. LOL All in good honest fun. That's ok, I understand, I'm sure everyone else does too. 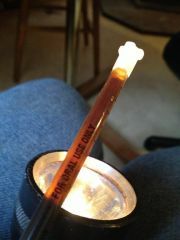 Winterizing filters, period, not all terpenes are created equal some float, others sink. A loss of flavor, is a loss of terpenes (flavinoids). A difference in "buzz" effects, 24-48 hour buzz vs. 12 hour buzz. There are only 2 ways to get terpene oil in a concentrate. 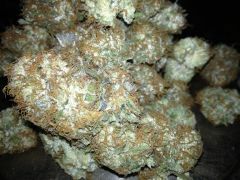 1. is naturally decarbing with no heat (heat destroys many terpenes), evaporates. 2. would be doing an essential oil extraction, removing terpenes, then returning them to the concentrate after the process has been completed. 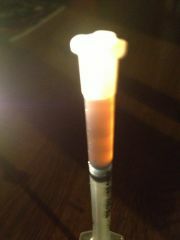 This is all in regards to a concentrate that is fully decarbed and intended for ingested. No more talk. I'm ready to walk, are you? My apologies GrassMonkey for the hijack. However, I am very confident in my statements. 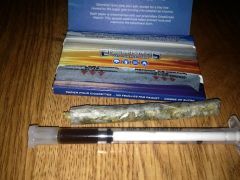 How about we get together with our "successfully made concentrates", natural and winterized, and have a comparison event? Get a few of us together, including those who would offer an unbiased opinion and have a sample party? Let's say late spring early summer 2019? You in Resto? I would say let's do it after December 6, 2018 but I need to make some of my ND sap first, and that process takes at least 100 days. RSO would not offer a fair comparison, regular or winterized in my opinion because many terpenes are absent due to the heat decarbing process. How I know the difference between winterized (no terpenes), and not winterized (with terpenes) is by doing a comparison of a naturally decarbed product that contains all terpenes. I have done this on multiple occasions, side-by-side comparisons, to prove the theory is correct. Not just myself, but my patients as well. Are you able to explain your processes in which you came to your conclusions to say the terpenes have no effect, it is only the fats or is that only based on articles written by others? I am honestly curious. I think a sample party would be fun. We would need some volunteer testers though and a private location too. This constant blowing of hot air in regards to concentrates is getting old. 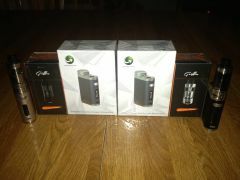 Let's do a real comparison, complete with prepared charts and enough samples to allow for a week's worth of testing. 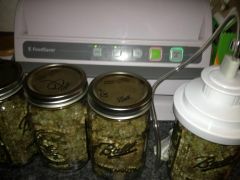 In my experience, it is much better to decarb after, with one exception, if the buds were already naturally decarbed. Decarbing before vaping, I do not recommend. Vaping oil that has been decarbed first will be more harsh and gag you, and most of the terpenes will be gone due to the heat decarbing process. Winterizing can smooth the hit, but also removes flavor, terpenes, and other medicinal properties. 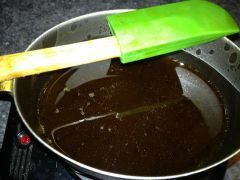 When ingesting winterized oil, it alters the buzz effects, for me, it is more visual. 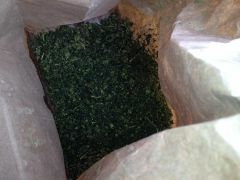 As far as grinding or leaving whole before solvent, that depends on your extraction method. I have never used one of those extracting machines, so I cannot comment on that process. 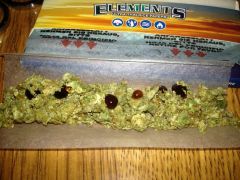 I do everything by hand and leave the buds whole. 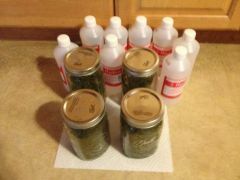 My buds are bone dry, jarred, and placed in the freezer at least 2 days before extracting. 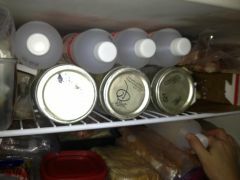 I also put the solvent in the freezer so the temperature will be the same. 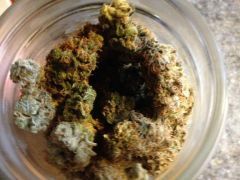 When I add the solvent to the buds in the jar, they pretty much dissolve off the stems when I shake the jar. 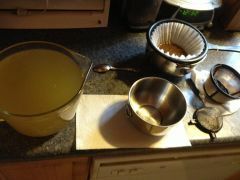 Then filter and continue the process. All in all, it boils down to personal preference. Try different methods, and stick with what you like. 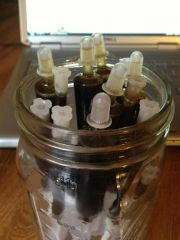 I have more detailed information about my extracting methods and experience with vaping oils in my blog. Looks like I was misquoted. I was referring to two different people growing in the same household. One being a medical caregiver the other not. Both grows being separated, in different rooms, and behind locked doors. It is mostly just a curiosity question. In other words, since a caregiver has a medical grow, does that mean another household member cannot grow their own recreational crop in that residence? Basically, would that residence be "banned" from any recreational grow as long as a medical grow was on the premises? Again, just out of curiosity, nothing planned in my world for something like this, but am guessing there are others that would consider it. Currently my medical grow is for 3 patients, I do not have room for any more plants than that, never did. 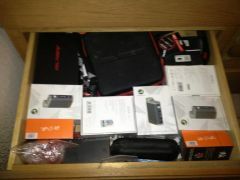 If the legalization does go through, I will probably downsize and only grow some personal. Getting older and more tired! It would be awesome to have the freedom to take a real vacation and more overnight trips. It has been a long time. ???? Looks like I will have to do some research. I haven't really been keeping up on all of this. Too many personal issues lately. However, through the link provided by the OP I did come across this: "3. Store up to 10 ounces of marijuana in your safe While personal possession is capped at 2.5 ounces, a household can have up to 10 ounces (as many as 560 joints, at 56 JPO, for those counting at home). This holds true even if five or more adults over the age of 21 live together. Advocates say the 10-ounce limit only applies to marijuana products purchased, and not to pot grown on the property. Product grown at the home would not be counted toward the household limit. Lowell said this provision was added because the Coalition “didn’t want to make a situation where if somebody happened to have a good harvest...they broke the law” despite all of their actions being legal. ?? Opponents of the ballot measure balk at the high limits. Greenlee predicts that having among the highest household possession limits in the nation (most states allowing legal weed cap household limits at 1 ounce of flower) would make “Michigan the weed capital.”" With that being said, I have a question: How would all of this affect a medical grow? For example: Would a household member be allowed to grow their own 12 plants when a caregiver growing for patients also resides in the same home? Keeping in mind the household member is not a patient of the current caregiver. Would the grows need to be kept separate similar to that of multiple caregivers growing in the same facility? 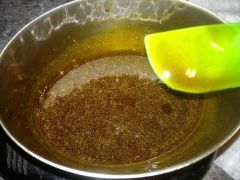 Brain Cancer And How To Make Cannabis Oil To Treat It! Thanks for posting this. I was thinking about her just the other day. As far as the sugar addiction, my thought is that since she was taking steroids, that is what prevented her from kicking it. I have seen first hand how steroids can drastically affect one's appetite and cause much unwanted cravings. I have experience, you can read about it here. 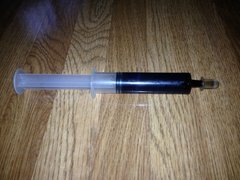 Look for my blog entry My Experience with Rick Simpson Oil Feel free to friend me on FB: GiGi Malone https://www.facebook.com/growgoddess.michigan I can connect you with many others with experience with concentrates and fighting serious illness, including cancer. I like IP cameras too. Some manufactures now refer to them as network cameras. My all around favorite would be AXIS cameras. I like the 213 PTZ cameras. It has 26x optical zoom, auto focus lens with around 250 digital zoom. If placing the camera outside, a heated outdoor enclosure is a plus. It also has IR. Not sure how that would effect outdoor plants though. You can program up to 20 locations and it has a full 360degree security mode. To top it off the AXIS comes with an applet code to enable you to put the live stream onto your own website. A full package with the camera and enclosure would cost around $1,500. As for the durability, I ran one outside for 4 years 24/7. This is not a recommendation nor a declination. Meaning I am not fully supporting, but also not denying. Borax, in small amounts is a great cancer preventative and cure in some cases. The video is a pain, but full of useful information.